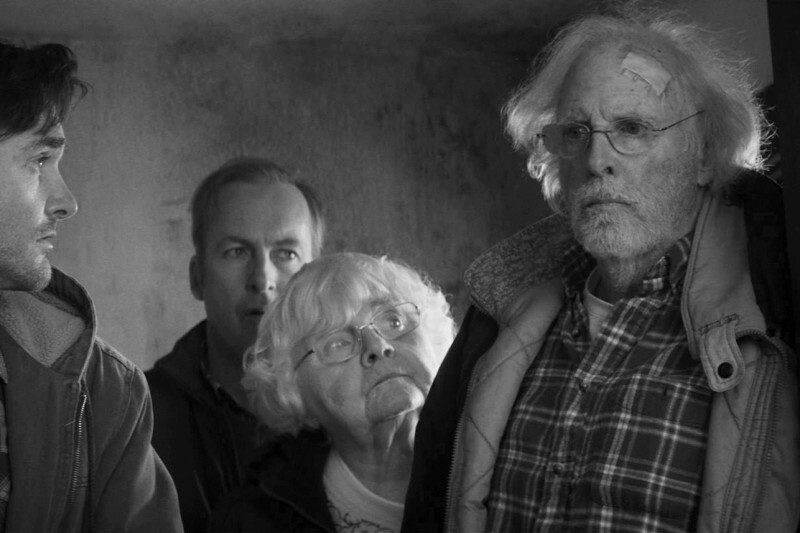 Delightfully comedic and visually stunning, Nebraska offers an emotionally complex glimpse into a son's relationship with his father, and his father's quest to validate his long and arduous journey through life. 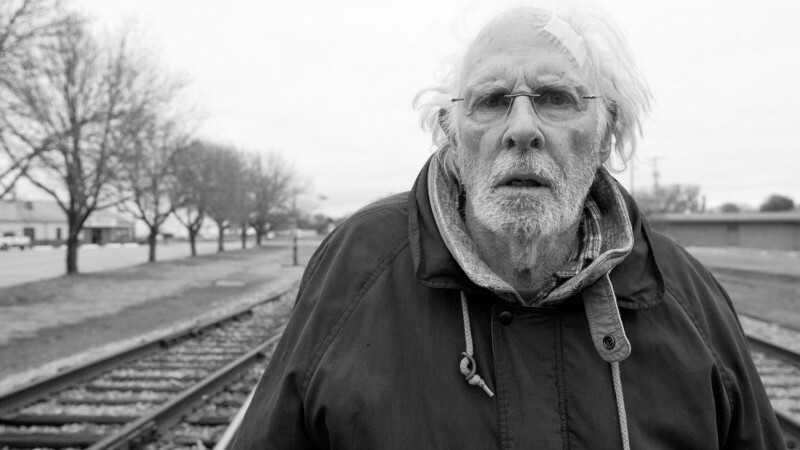 Nebraska opens on a stoic Woody Grant (Bruce Dern) walking, seemingly without aim, down the shoulder of a highway. Picked up by a helpful policeman, Woody believes a sweepstakes letter he received in the mail entitles him to one million dollars. Unaffected by the attempted dissuasion by his sons, David (Will Forte) and Ross (Bob Odenkirk) and overbearing wife, Kate (June Squibb), Woody is determined to get to Lincoln, NE to claim his “winnings”. Unable to convince his father to let go of his ludicrous fantasy, David decides to drive his father to Lincoln in order to bring some closure to his life. Met with complications due to Woody's drinking problem, and over-generosity, the trip is marred by hospital visits and faces from Woody's past demanding a piece of the pie. Trying desperately to connect with his distant father before he fully succumbs to Alzheimer's, David acquaints himself with the residents of Woody's hometown in an effort to unlock the mysteries of his past. Alexander Payne (Sideways, The Descendants) perfectly frames his story with bleak yet beautiful imagery that compliment the story. Shot with a “Midwestern” gothic feel, the camera moves methodically and calmly during the individual scenes. Either from a complete standstill, or a calculated pan from left to right, the camera enhances the linearity of the narrative. Much of the time spent with David and Woody is devoid of dialogue, and Payne masterfully fills these lulls with the haunting beauty of the mostly unpopulated Midwestern landscape. Payne seems to find an aesthetic symmetry in the myriad of plowed fields dotted with barns and old crooked trees. Leaving their hometown of Billings, MT, the two men seem to leave modern society and are transported to the much more quaint and desolate atmosphere of Woody's younger years. Dilapidated buildings, abandoned storefronts and a proliferation of empty open spaces serve duel roles as a memento to Woody's childhood, and as a marker for the unstoppable progress of society. Payne's film is every bit as humorous as it is rich with imagery. The sly and sarcastic wit shared by father and son seem to be the only similarity between the two men. Constantly nagging each other, Woody either completely ignores his son or refuses to admit to his own faults. While the two are generally eager to accommodate strangers and friends, they refuse to capitulate to even the most minor request from the other. The rest of the film's substantial humor relies heavily on the quaintness of the interactions between Woody and his childhood friends, and the strain between members of Woody's extended family. The script from Bob Nelson (his first feature) perfectly captures the struggle to identify with extended family, and finds humor in the bizarre situations that arise when the town hears that Woody Grant is a millionaire. Forte and Dern both have a tremendous screen presence, and Forte proves his acting ability in his somewhat serious role. Forte makes it easy to identify with his character, troubled with stagnation in his life. Quick-witted and dryly sarcastic, Forte illustrates his character's struggle with the decay of his parents in an amusingly relatable way. Dern earns his Oscar nomination in the brilliantly portrayed Woody. Aloof and uncaring, Dern is superb in the role. Squibb steals the show with her hilarious depiction of Kate. Quick to jump on Woody or her sons, Kate is a loose cannon with a narrow-minded point of view. Unflinching in her opinions and loudly outspoken, Kate is the complete opposite of the timid and quiet Woody and David. Every bit as brash as she is hilarious, Squibb makes you hate and adore her simultaneously. 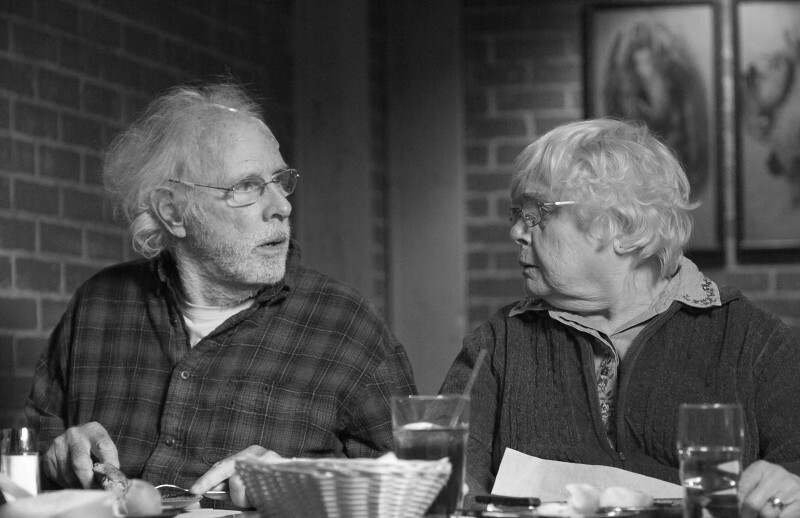 Compelling in both its story and imagery, Nebraska serves as both a dryly-comedic masterpiece and a poignant, touching narrative on the unbreakable bonds of family.